​Motivational Speaker, Leadership Coach. Bestselling author of The Habit of Winning & the Secret of Leadership.& You Too Can. ​After spending nearly three decades working with teams selling everything from soaps and colas, to yellow pages and diapers, Prakash chose to step out of the corporate world in 2014 to pursue his passion for writing, speaking, and helping other people unleash the leader within. ​In his last role, he was the Managing Director of Kimberly Clark Lever in India. 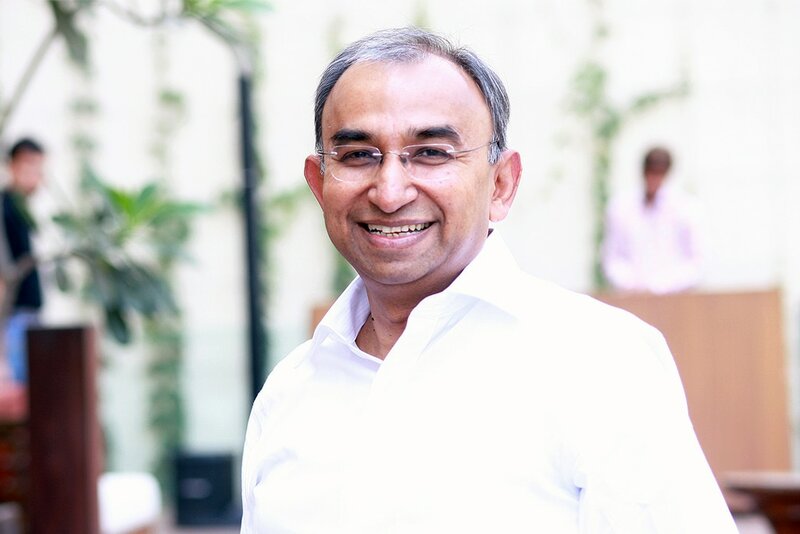 Apart from being a best-selling author and a leadership coach, Prakash is now an independent director on the board of of Xerox India, an advisor to Multiples - (a Private Equity fund) and also served as the CEO of the Mumbai Indians cricket franchise in their IPL title-winning campaign in 2015. Passionate about cricket – and people - Prakash speaks and writes extensively on motivation, leadership, story-telling, teamwork and winning. He is the author of three best-selling books: The Habit of Winning , The Secret of Leadership and His Latest Bestseller - You Too Can. Prakash was until recently the Managing Director of Kimberly-Clark Lever and was earlier the Managing Director and CEO of Infomedia India Limited (formerly Tata Infomedia). Prior to that, Prakash was Executive Director at PepsiCo, responsible for the company’s operations in South India and Sri Lanka. He later moved to PepsiCo China as Regional Vice President. An alumnus of IIM Ahmedabad, he started his career with Hindustan Unilever Limited as a Management Trainee. Passionate about cricket – and people – Prakash is also a trained leadership coach. He speaks and writes extensively on motivation, leadership, teamwork and winning. His first book – titled The Habit of Winning – was published by Penguin in 2011. It was shortlisted for The Economist Crossword Popular Book Award, and has been translated into seven languages. His second book, The Secret of Leadership, was published in 2013. Both books are national bestsellers. Prakash draws on his vast experience of leading passionate, winning teams to deliver powerful messages that stick in the minds of the listeners. Using stories from his best-selling books – and from his life and career, Prakash talks about leadership, teamwork and the habit of winning. Delivered with passion, high energy, and a dash of humour, Prakash leaves his audience energised, inspired, and filled with practical advice and new insights. And hungry for more! A Velumani slept on a railway platform on his first day in Mumbai. Dhruv Shringi got fired from his job in London. And Irfan Razack was a salesman in a readymade garment store in Bengaluru. All of them went on to set up their own businesses. How did they do it? Bestselling author Prakash Iyer takes you up close and personal with twenty Indian entrepreneurs as they share what inspired them, what keeps them going and what we can all learn from them. What does Abhishek Lodha do that makes his employees want to go the extra mile? What is serial entrepreneur Meena Ganesh's secret to finding work-life balance? And what lesson did Gaurav Marya learn from a test match that ended early? You Too Can is filled with stories that celebrate the entrepreneurial spirit. Stories of success, and struggle and survival too. Stories of people starting up, making progress, enjoying the ride and hoping they will make it to the finish line. If there is one, that is. Hopefully, you will find a story that rings a bell, connects, and inspires you. There are business lessons. And several life-lessons too. Success leaves tracks. Whether you are an entrepreneur or an employee, a housewife or a student, here's your chance to learn from men and women who unleashed the entrepreneur within them. They did it. And now, You Too Can.